This is the first entry in our series on Metro Detroit's cultural history. Over the next months, we'll be publishing pieces on Metro Detroit's major cultural and ethnic groups, how they got here, and where the descendants are today. Any chronicle of cultural and ethnic patterns in Metro Detroit must begin, of course, with the groups of Native American settlers who first established territory in Michigan many centuries before the first French settlements. Too often, though, that narrative glosses over the deep cultural impact of Detroit's Native American groups and roots their stories in the far distant past. This romanticization and exoticization tend to characterize Detroit's first occupants as unambiguously historical. And though many treaties and forced relocations of Detroit's native peoples may have caused the redistribution of land and tribes, Detroit's first peoples continue to work, live, and effect change in the area today. Because the early history of the Native American population in the area is more than enough matter for several college courses, we'll begin with the first contact between Native Americans and the French settlers of the 17th century. For excellent and impeccable researched coverage of the Mound Builders' and other early groups' impact on the land of Detroit, read Paul Szewczyk's Detroit Urbanism blog, which devotes several posts to earlier settlement patterns and conflicts before and after contact with the French. When French Jesuits first visited Southeast Michigan, they had unknowingly arrived at a moment of stalemate: the recent Beaver Wars between the Iroquois from the east and the native Sauk, Fox, and Kickapoo tribes had created a no-man's-land after the Iroquois forced the smaller tribes further inland. With the building of Fort Pontchartrain in 1701, small bands of Hurons, Ottawa, and Ojibwe re-settled in a broad swath around the trading post in an uneasy alliance. The Fox Indian Massacre of 1712 saw the Huron and Ottawa force the Fox out of the territory after a two-week siege that concluded in a massacre in what is now Grosse Pointe Park. After that, the majority of Southeast Michigan's Native American population was a part of the Anishinaabe, a long-standing alliance of Ojibwe, Ottawa, and Potawatomi groups. 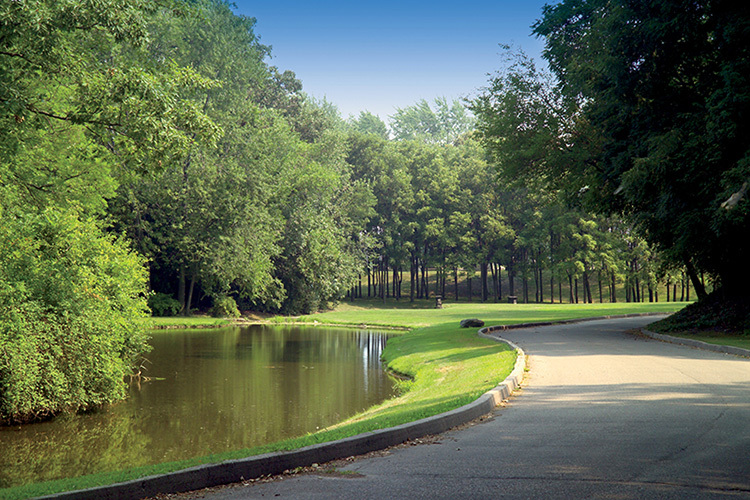 Remnants of these settlements can be seen all over Metro Detroit and are reflected in place and street names throughout our region, like Shiawassee, Washtenaw, and Algonac. Indian Village is full of these names, but they were not intended to be named after different tribes; originally at least, they were racehorse names! By the mid-18th century, tensions between Native Americans and the new British military forces at Detroit led to Pontiac's War, a three-year rebellion that engulfed the Great Lakes area after British land grabs and reduction in treaty payments. The war united groups of Native Americans from all over the region; it also caused panic in the increasing number of white settlers at Detroit, especially after the defeat of British forces at Bloody Run, now the site of Elmwood Cemetery. Bloody Run Creek. Courtesy Elmwood Cemetery. Most importantly, the conclusion of Pontiac's War enforced a policy that the new American nation would soon perpetuate: the idea that isolation and segregation of Detroit's Native American peoples, rather than integration, was essential to peace. Further treaties, including the historic 1807 Treaty of Detroit, would continue to winnow away at Native landholders' rights and reinforce colonists' land claims. One example of post-Pontiac relations between White and Native American settlers is the story of Sarah "Sally" Ainse, an Oneida woman who moved her successful trading business from upstate New York to Detroit in 1774. By all accounts, she was quite successful: in just five years, she owned a town lot, four slaves, three cows and four horses. But by 1794, having been pushed off her city land, Ainse was living in Ontario, fighting for the rights to her family's acres. She spent the last 25 years of her life petitioning the courts repeatedly and unsuccessfully to confirm her land claims. Pontiac and his war—and the Pontiac brand—is as good a place as any to turn our focus to the ways in which Detroit's later immigrant story dovetails with its Native American history. 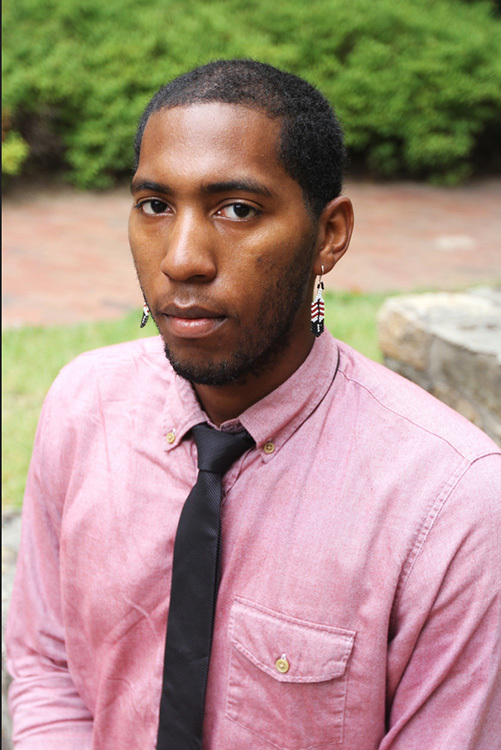 Dr. Kyle T. Mays, a history fellow at UNC-Chapel Hill, believes white culture has co-opted Pontiac. "They've used indigenous imagery as a mechanism through which to construct their own identities," he says. "20th century Detroit was the epitome of modernity, illustrated through the auto industry. And Pontiac's image represented modernity and power ... the Odawa war chief was central to white men constructing a history of Detroit." It's a history that appropriated a Native American Detroiter to sell white modernity while actively erasing traces of Native peoples in the city itself. This appropriation and erasure has had far-reaching consequences for contemporary Detroit's Native American population. Mays' family has been active in the Detroit indigenous community for a long time. His great-grandmother, Esther Shawboose-Mays, and his aunt, Judy Mays, helped found the Detroit Indian Educational and Cultural Center in 1974. Before that, community members in 1940 established the North American Indian Club (now North American Indian Association), which hosts educational and community activities and outreach. Since Detroit is home to the country's 10th largest Native American urban population, the group caters to a broad spectrum of residents all over the city. According to the 2010 Census, 0.4 percent (2,417) of Detroiters identify as only Native American. Within that group are families that have been in the city for generations as well as individuals and families who moved to Detroit from rural areas across the state and country. Detroit's Native Americans face many of the same challenges as other minority groups: displacement, poverty, and suburban exodus erode at the community's population density. In the 1980 census, Detroit listed 12,487 Native Americans living in the city, many concentrated along Cass Avenue and in Corktown along 6th Avenue. A 1972 Free Press article cites 3,000 Native Americans living in the Cass Corridor. Now, much of that population is centered in Southwest neighborhoods. 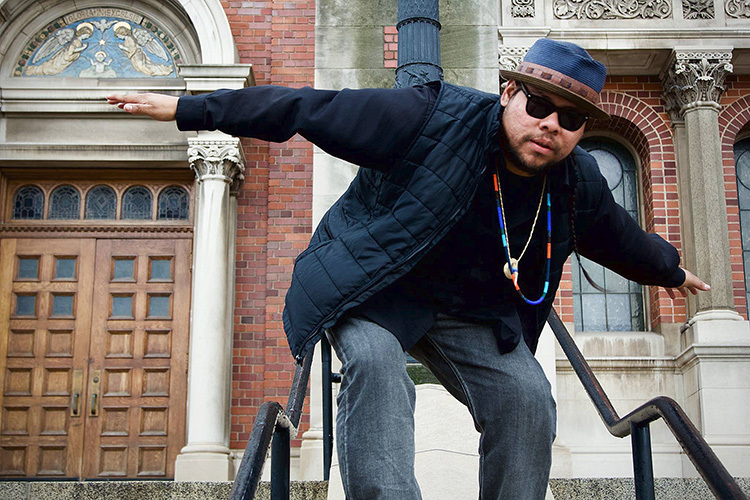 Sacramento Knoxx, a Southwest Detroit Ojibwe whose indigenous trans-media hip-hop blends beats and inspiration from his indigenous and Chicanx roots, sees two parts to his cultural identity: his indigenous Anishinaabe heritage, and the Detroit that made him who he is. But Knoxx is not simply booster for the city—he advocates for those left behind in Detroit's boom-and-bust cycles. By taking his multimedia performances to indigenous gatherings, academic conferences, and concert venues across the United States, he hopes to raise awareness of his cultural heritage and the dangers it faces in New Detroit. "People moved [away] because they were being affected directly by violence or indirectly through family and friends," says Knoxx. "Violence from the state with cultural and economic displacement from colonial enterprise." Just as many other groups fled the city or concentrated their population densities into smaller ethnic enclaves, Detroit's Native Americans did so as a result of the city's increase in crime and decrease in public services beginning in the 1960s and continuing through the 1990s. At the same time, though, Native Americans were pouring into the city from rural farms and reservations in search of work in Detroit's factories. During the 1930s and 1940s, local bars such as Sam Fox's at Michigan and Third served as information centers and paycheck cashing operations for recently arrived Native Americans. In response to the crisis of public services, organizations such as the NAIA and the Detroit Indian Educational and Cultural Center were established around grassroots efforts, combined with stubborn political lobbying. These groups stepped in where social services were lacking; for example, the NAIA operated a food and clothing donation center from the basement of Corktown's Most Holy Trinity Catholic Church. Beginning in 1943, Father Clement Kern worked with the Michigan Avenue neighborhood to mobilize assistance to neighbors in need. Church groups and neighborhood associations, then, stepped in to fill in the gaps created by the city's increasing economic and labor shortages. The long arm of colonial displacement, throughout much of the 20th century, affected the Native American population in Detroit in disproportionate numbers. Edward Dazinger's "Survival and Regeneration: Detroit's American Indian Community" draws particular attention to the Corktown area decimated by the construction of the Lodge freeway in the 1960s, which effectively bisected communities. And despite Detroit's recent economic upswing, Knoxx and Mays see warning signs. Knoxx views recent Detroit immigration narratives as further resource manipulation thinly disguised as opportunity. Some of Detroit's newcomers, he argues, "have moved here because of Detroit's 'opportunity' or ability to 'take advantage of' and extract resources, land, and wealth." Especially for the Native American and Chicanx population centers in Southwest Detroit, gentrification remains a significant hazard for underrepresented groups. Both Knoxx and Mays agree that the underrepresentation of Indigenous peoples in Detroit, especially contemporary inhabitants as opposed to historical groups, has allowed the narrative of Detroit's Native Americans to focus far too much on the past, rather than current issues facing families in Detroit. "The greatest obstacle," says Mays, "like Native people everywhere, is visibility ... too often, people assume that Native people are a people of the past, and that their cultures don't adapt and change." This insistence on obscuring Native Americans' Detroit story under clouds of romantic historicization, he argues, allows recent triumphs and challenges faced by the group to be overlooked. Knoxx agrees. "As we continue to build autonomous community-led media, we have and will bring more visibility to Anishinaabe identity." Much of his work centers around the Anishinaabe concept of "aadizookaan," which he describes as "the sacred spirit of the story, the messages we share and pass on in our visits." In this way, he translates his cultural heritage to contemporary means of production, and highlights the current problems faced by his community. Cultural identity as a consciously defined product is an important factor in Mays' thinking, too. "I find it more productive to think about the types of indigenous cultures and identities being produced at a given moment rather than taking the approach about maintaining cultures." He insists that cultural identity is a dynamic process rather than an attachment to a historical set of facts or rules. "This might be more important for Native people than other racial [or] ethnic groups for the simple fact that general U.S. citizens know little to nothing about contemporary Native cultures and people, and also assume that the majority of Native people live on some far-off reservation," Mays says. Since southeastern Michigan is home to so many Native Americans, and since most Native Americans now live in cities, taking a hand in controlling their culture's narrative is crucial to Mays, Knoxx, and others. What Danziger called "Detroit's most 'invisible' minority group" is achieving strides in both visibility and representation.